Total tooth loss isn’t as common as it used to be, with modern advancements in oral care and preventive dental treatment options. However, tooth loss (in total or in smaller groups) does happen to some as a result of hereditary gum problems, age, infections, injury, or other oral health issues. If you have multiple missing teeth or total tooth loss, Dr. Carr offers full, partial, and even implant-supported dentures in Temecula and Hemet, CA. Why Choose Dentures for Tooth Loss? Many patients prefer dentures over other teeth replacement options, as getting dentures does not require excessive treatment or repeat trips to a dentist for care. Partial Dentures – This denture treatment is for those who have only one or a few missing teeth. Your replacement teeth are attached to a retainer-like device that easily pops onto your teeth for a secure fit that easily fills out your smile. 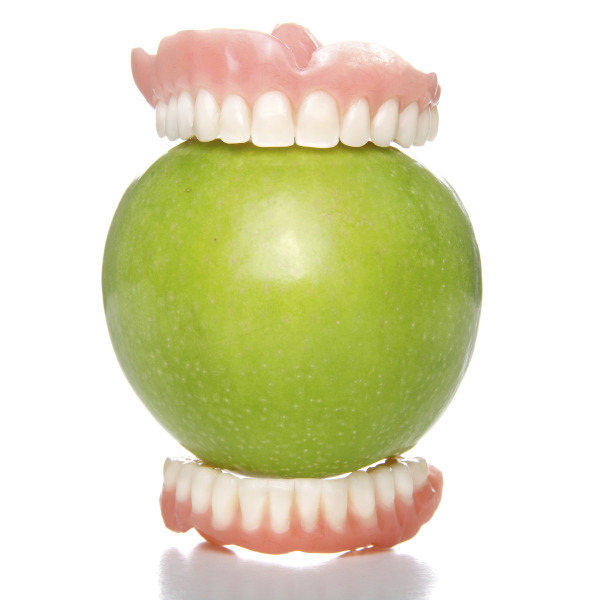 Full Dentures – Full dentures are a fix for complete tooth loss in the upper or lower arch of the jaw, or both. A full denture mimics the look of healthy teeth and gum tissues and is held in place with strong denture adhesive. With your dentures in place, you have a restored smile and a fuller, more youthful-looking appearance. Dentures can be removed nightly in order to be cleaned and fresh for the next day. Implant-Supported Dentures – For patients who prefer to have permanent dentures, Dr. Carr can secure your full dentures by placing 4-6 dental implants along the arch of your jaw. Your full set of dentures snaps snugly onto the implant posts, providing a stable solution to tooth loss. No matter how many teeth you have lost, Dr. Carr has a denture treatment to address your oral health concerns. With a focus on quality-minded dental care, our entire team ensures that you get the dental treatment that allows you to have a beautiful smile that restores full oral function. Restore Your Smile With Full and Partial Dentures! Don’t let tooth loss stand in the way of good self-esteem and important everyday things, like eating your favorite meal. To get more information on how you can address issues of tooth loss with dentures in Hemet or Temecula, contact our offices. We welcome you for your initial consultation to see how Dr. Carr and our team can help you!